There are more than 1.5 billion websites on the internet and around 200 million websites are live. Picking 5 or 10 top About Us pages from the crowd of 200 million websites is really difficult. But through this article, it has been tried that you catch some of the best examples that would help you when your website is going to launch. Usefulness is one of the keys to marketing success. 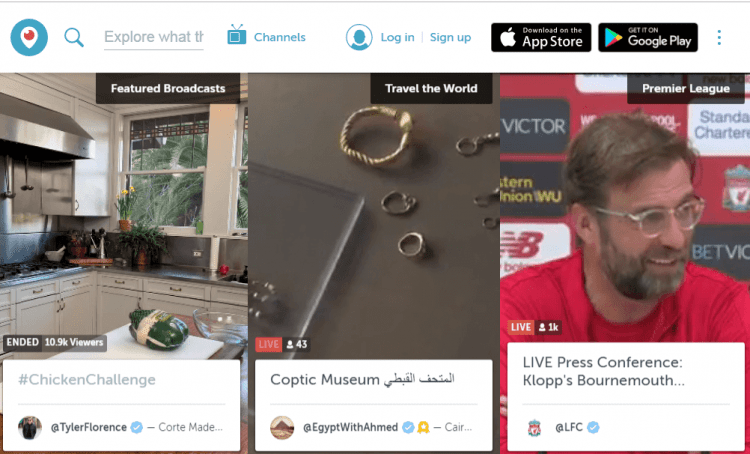 This is what Periscope shows through its About Us page. The company is just a year old baby and letting them why their video-streaming app is too useful for the audience who may have never heard about it. The About Us page focuses on showing the real powerhouse of the organization i.e. their team. 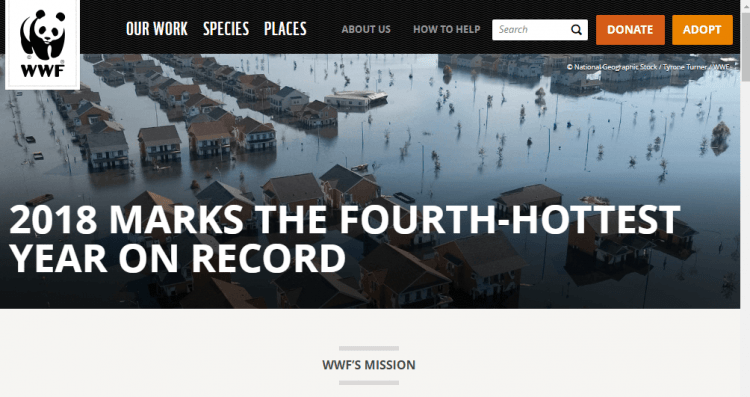 You would rarely see an organization detailing the list of its resources on such pages. Something similar to Periscope, Muncherry also focuses on their team. But, here the difference is “Periscope comes with a group photo whereas Muncherry highlights their employees with fun pictures”. 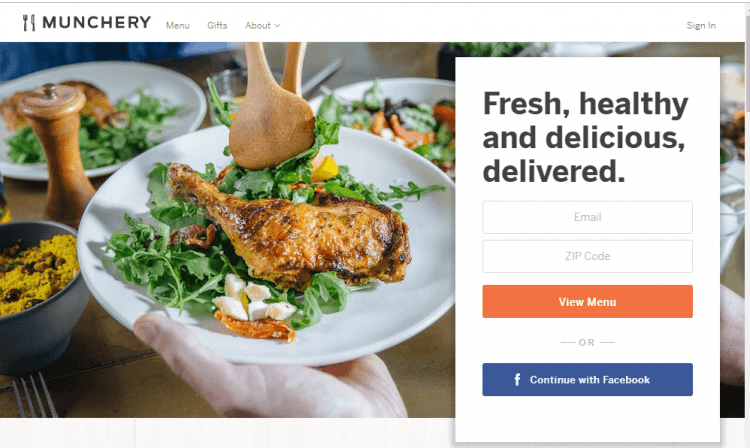 Exploring the internet, you would find many organizations showing their employees on their sites, but few of them can match the originality of Munchery. You can say this is a different thought where each employee is posing with something that corresponds to their interests or hobbies. This way they bring some identity to the site. This would definitely offer a personal touch to the audience to connect with the website. You would have heard the name of WWF. It’s not the World Wrestling Federation rather it’s World Wide Fund for Nature. It’s the organization whose goal is to protect the environment. So, what special about it’s about us page? The About Us page comprises a photo of the land they conserve, and if you talk about the mission of any such organization, what could be more emphatic than this. And once they display more detail down the page about their objectives and strategies, the bloodline shows their accurate and concise summary of their work. If you consider a fictional story that is easily interpretational would drive the audience to your About Us page, think again. This would never be a successful strategy. This is because people appreciate straight talk about what your business going to offer them. After all, if your audience is unable to find out what you, how you do, it would be nearly impossible to show trust in your product or service. Apptopia skips the industry trend and telling everything about the company in simple language enabling every reader to understand the offering easily. The About Us shows off your goals, mission, vision and other things from one place. 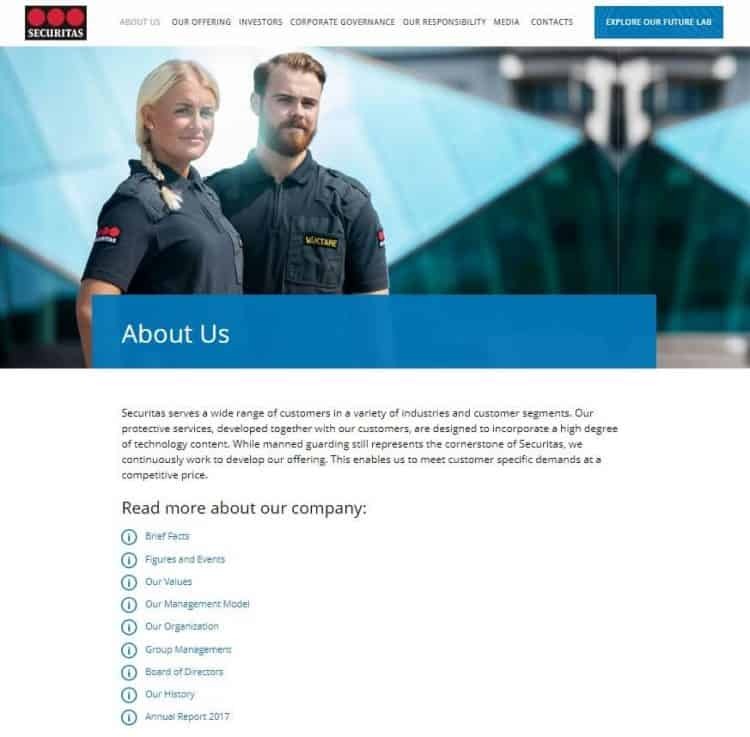 Securitas About Us Page acts as a content hub resource along with other pages leading from the main section. 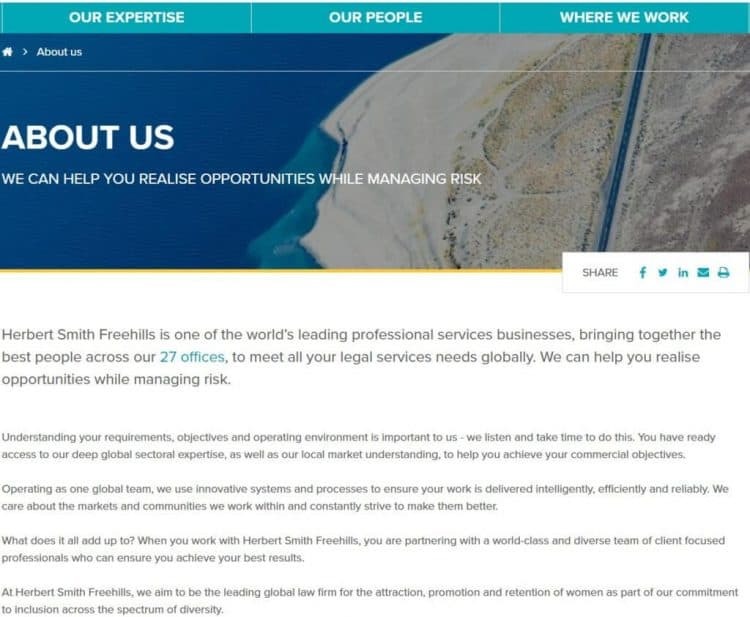 Herbert Smith Freehills About Us scores high in readability and extremely functional as well as responsive and much more. The page also includes recent research and reporting to influence fresh user and search value. Financial Times is the world’s leading news organizations acts as a commonplace for top global brands to rule the SERPs with wider intent and brand linked search topics including those relevant to About us pages. It’s a great example for a newbie news organization which wants to design its own About Us page. 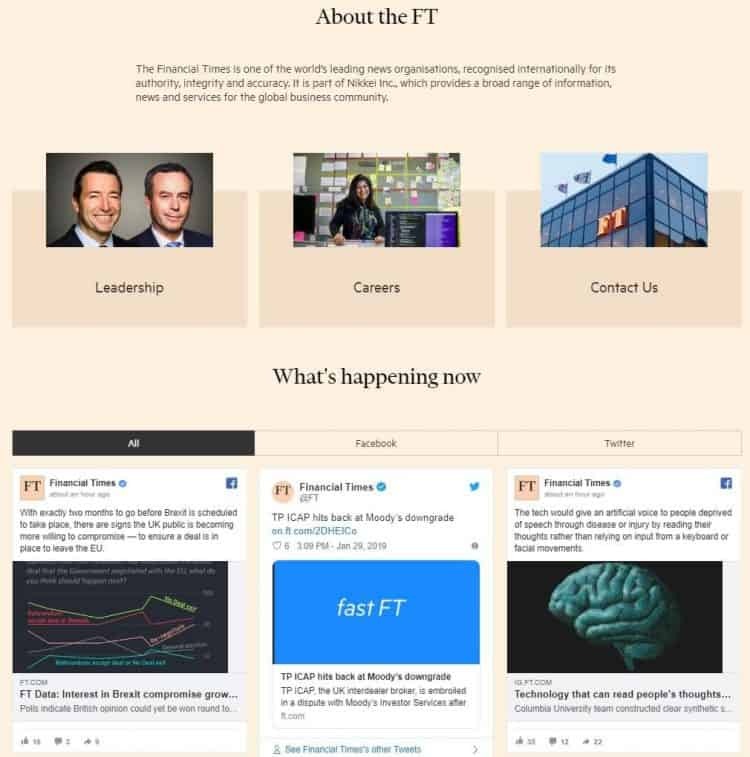 There is a lot to learn from Financial Times like what the essential elements to display on the About Us page are and which are not? 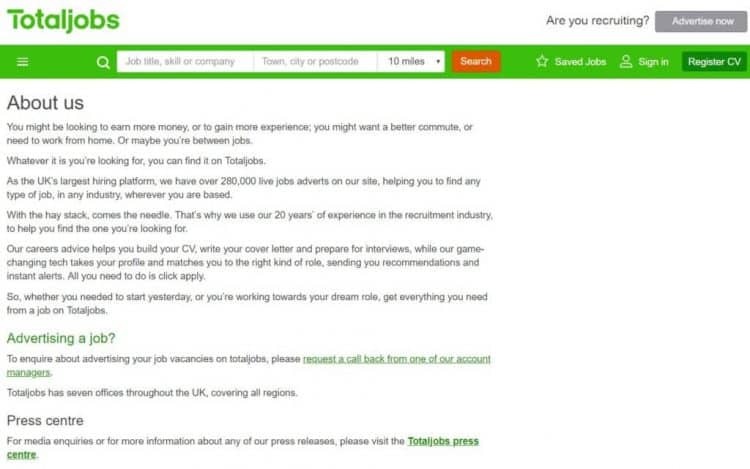 Totaljobs, as the name suggests is a job search site and a leading example of text-based About Us page. The page also sets an example of presuming goal of driving people to final About Us destination as swiftly as possible. Again a straight talk about the services has done through the About Us page. The page includes all the highlights that it provides in its services. If you’re looking for a deriving concept for your About Us, these examples will definitely help you. These are 8 topmost global About Us examples. Hope you get benefited from them.